I wanted to share with you some alternatives to the normal Christmas sweaters you see floating around this time of year. Blame Betty is an alternative pin up inspired store located in downtown Calgary, and luckily for you they have an online store as well! They are currently selling seven different unisex ugly Christmas sweaters! Here's a few of my personal favourites! 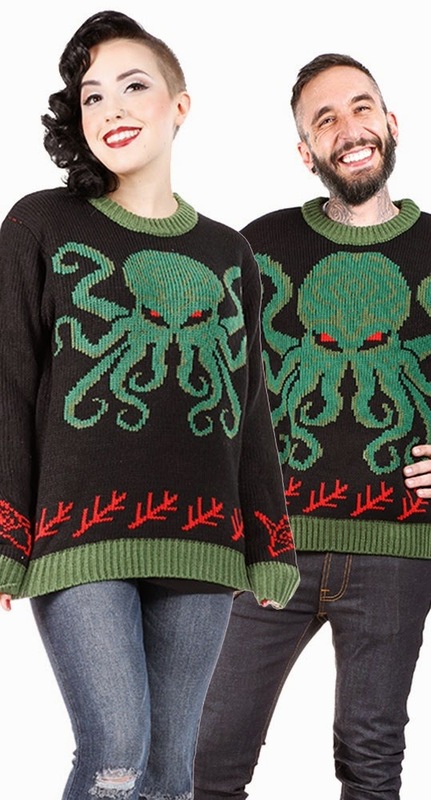 Who doesn't love Cthulhu on Christmas? You can purchase this sweater HERE. 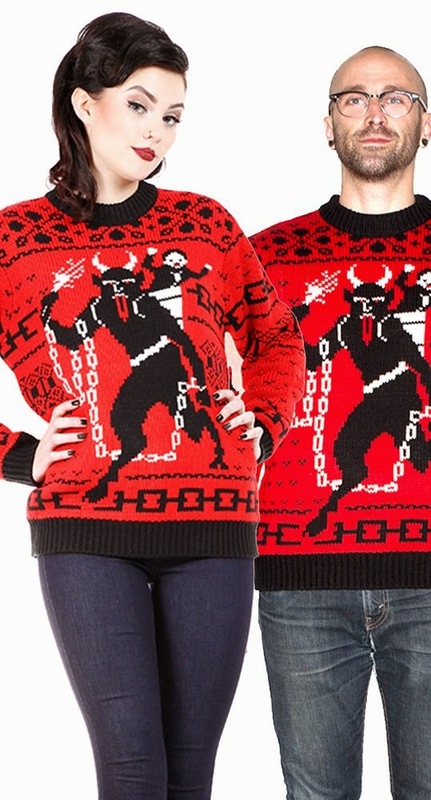 This sweater features Krampus, the Christmas devil! You can purchase this sweater HERE. Not feeling too festive? 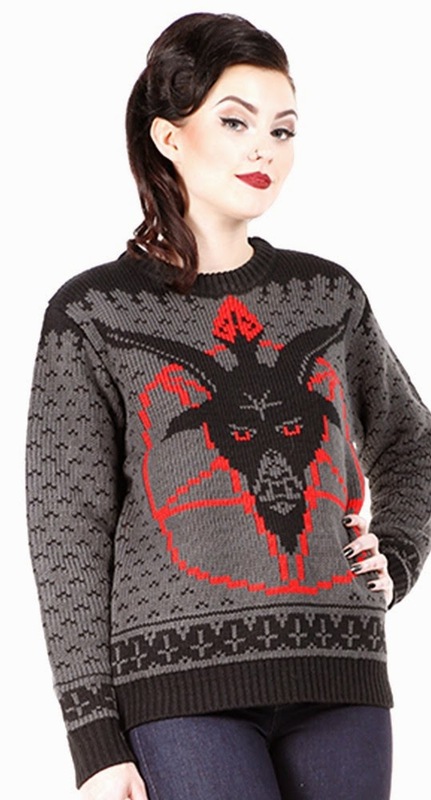 Rock this goat head pentagram sweater and purchase it HERE. You can find the rest of the Christmas sweaters HERE, all sweaters are $86 and they range from sizes XS to XXXL so there is definitely one for everyone!